Chris Johns Law Group is a Jacksonville-based accident firm that prides itself on delivering aggressive and professional individual legal representation to each client, and to treating each client as we would like to be treated. At our firm, you will meet with one of our attorneys at the free initial consultation to discuss your accident claim – not an investigator or assistant – and your case will be handled by an attorney, not an assistant or case manager. Having an attorney personally handle your accident case is one of the qualities that sets our firm apart from the other Personal Injury Law Firms. Many other personal injury lawyers will send an investigator to meet with you at your initial consultation and then your case will be handled by a case worker, not an attorney. Another quality that sets our firm apart is that accident attorney Chris Johns used to represent insurance companies in personal injury/accident cases. His experience in representing insurance companies in personal injury/accident cases will be an asset in guiding you through the legal process and in dealing and litigating if necessary against an insurance company in your personal injury/accident case. Our Law Firm represents accident victims in all types of personal injury/accident cases, including Automobile accidents, motorcycle accidents, pedestrian accidents, semi-truck accidents, slip/trip and fall accidents, all fall accident claims, dog attacks and dog bites, construction accidents, work accidents, worker’s compensation accidents and claims, injuries on somebody else’s premises, negligent security cases, personal injury accidents, wrongful death accidents and claims, social security disability claims, product liability claims, pharmaceutical cases, drug recall cases, and all other types of accident and injury claims. We will meet with you at one of our many conference locations around town, at your home, in the hospital or any location that is convenient to you, and provide you with free advice about your accident claim at your initial consultation. We will explain what your rights are and how you can enforce those rights. We will explain how to get your medical bills paid, how to start receiving wage loss checks, how to get a rental car or your car repaired, how to be compensated for your inconvenience, pain and suffering and loss of enjoyment of life. We will attempt to settle your case as quickly as possible, if you wish, or if need be, file a lawsuit on your case if we believe that is the best way to handle it. We will work with you as a partner and as a friend. We look forward to meeting with you in the near future. You can speak to an attorney by just calling our office at (904) 570-3555. Thank you for considering our law firm. Chris Johns is the owner and founding member of the Law Firm. Mr. Johns was born and raised in Jacksonville, Florida. He is married to Kristina Johns, and they have two children. Mr. Johns has been a lawyer since 1991. He graduated from the University of Florida College of Law School in 1990 and has been practicing in Jacksonville ever since. 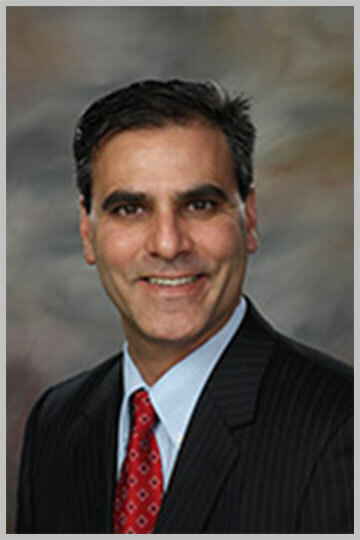 Prior to starting his own firm in 1996, he worked as an insurance defense attorney representing insurance companies in personal injury claims. Since starting his own firm, Mr. Johns has devoted 100% of his practice to representing people that were injured in accidents against insurance companies. Mr. Johns and his firm pride themselves on personalized individual service to each and every client. Unlike many other personal injury/accident firms, you will meet with one of the attorneys in the firm at your first consultation and throughout your case, not an investigator or case manager. This is one of the main reasons that sets his firm apart. Mr. Johns has been rated by Martindale-Hubble as a AV Preeminent rated attorney which is the highest rating an attorney can receive. He is also a member of The Million Dollar Advocates Forum since he has obtained multiple jury verdicts in excess of one million dollars. Mr. Johns has received multiple jury verdicts in excess of one million dollars and has settled multiple cases for more than one million dollars. Mr. Johns and his firm have literally represented thousands of people in automobile accidents and other personal injury claims. Mr. Johns is a member of the Florida Bar and Federal Bar, the Jacksonville Bar Association, Clay County Bar Association, The Florida Justice Association, and Jacksonville Justice Association. Mr. Johns and his firm pride themselves on being compassionate towards their clients and handling your accident case in a diligent and thorough manner. Our goal is to represent each client they way we would want to be represented. Mr. Bradley was born in Jacksonville, Florida while his father was serving in the U.S. Navy. Shortly thereafter, he moved to Kenosha, Wisconsin and then to Virginia Beach, Virginia where he spent the majority of his childhood. After graduating from high school Mr. Bradley became the 5th generation of his family to serve his country by enlisting in the U.S. Coast Guard. While in the Coast Guard Mr. Bradley was stationed in Cape May, New Jersey onboard the U.S.C.G.C. Vigorous where he performed traditional Coast Guard missions such as drug interdiction, fishery patrols, and migrant relocation. Following Mr. Bradley’s time onboard the Vigorous, he made his transition to Florida in 2004 where he was stationed in Cape Canaveral, Florida as a member of Marine Safety Detachment Port Canaveral. There he served as a Port State Control Vessel and Waterfront Facility Inspector, enforcing domestic and international safety and security regulations. Mr. Bradley received an honorable discharge from the Coast Guard in 2007 and began working on his undergraduate degree at the University of Florida which he completed in 2009. 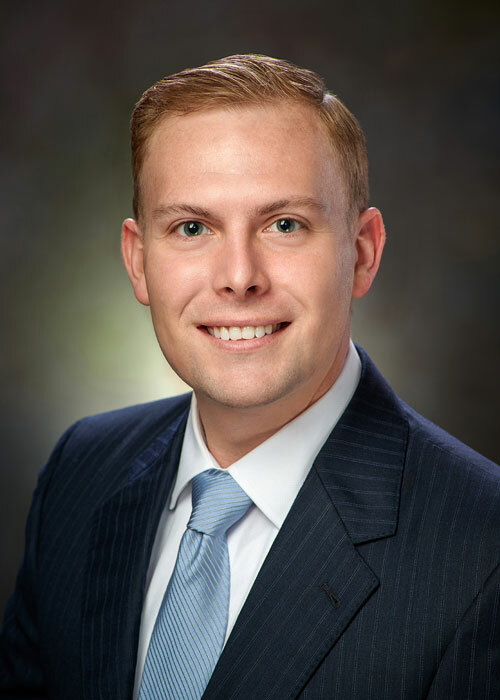 He moved to Jacksonville in 2010 to attend law school at Florida Coastal School of Law. During his time in law school, Mr. Bradley worked at the Law Offices of Chris Johns as a law clerk. He graduated in 2013 and was admitted to the Florida Bar in 2014. Prior to joining the Chris Johns Law Group, Mr. Bradley practiced at another local Jacksonville law firm where he honed his skills as a personal injury attorney. Mr. Bradley is proud to once again be a part of a firm that takes pride in placing the client first. A firm where clients deal directly with their attorney, not case managers, legal assistants or investigators. Mr. Bradley is ready and willing to put in the time and effort to ensure your claim is handled properly and efficiently.